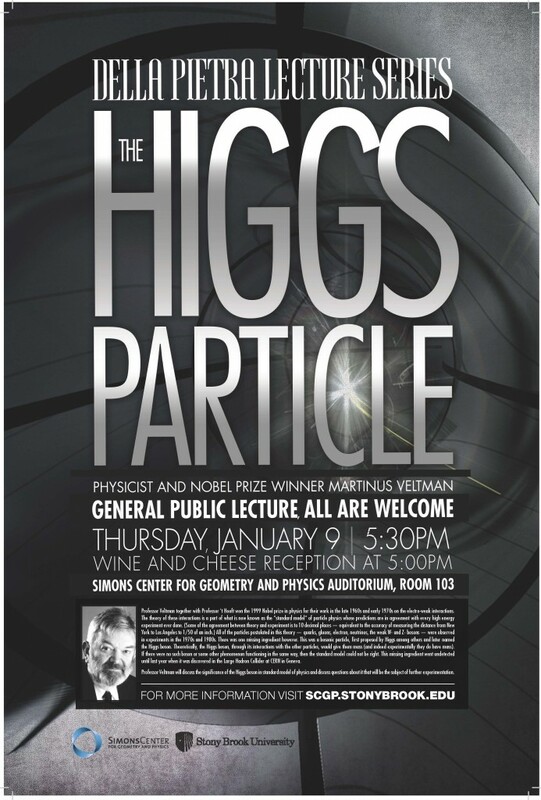 Professor Martinus Veltman of the University of Michigan (retired) will present a Della Pietra Lecture entitled “The Higgs Particle” at 5:30 pm on Thursday, January 9, 2014 in Room 103 of the Simons Center for Geometry and Physics. Professor Veltman together with Professor ‘t Hooft won the 1999 Nobel prize in physics for their work in the late 1960s and early 1970s on the electro-weak interactions. The theory of these interactions is a part of what is now known as the “standard model” of particle physics whose predictions are in agreement with every high energy experiment ever done. (Some of the agreement between theory and experiment is to 10 decimal places — equivalent to the accuracy of measuring the distance from New York to Los Angeles to 1/50 of an inch.) All of the particles postulated in this theory — quarks, gluons, electron, neutrinos, the weak W- and Z- bosons — were observed in experiments in the 1970s and 1980s. There was one missing ingredient however. This was a bosonic particle, first proposed by Higgs among others and later named the Higgs boson. Theoretically, the Higgs boson, through its interactions with the other particles, would give them mass (and indeed experimentally they do have mass). If there were no such boson or some other phenomenon functioning in the same way, then the standard model could not be right. This missing ingredient went undetected until last year when it was discovered in the Large Hadron Collider at CERN in Geneva. Professor Veltman will discuss the significance of the Higgs boson in standard model of physics and discuss questions about it that will be the subject of further experimentation. Martinus J.G. Veltman began studying mathematics and physics at Utrecht University in 1948, and obtained his PhD in theoretical physics in 1963. 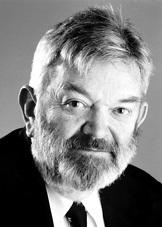 He is widely known as one of the developers of gauge theories. His research focuses on field theoretic aspects of gauge theories and their applications to elementary particle physics, radiative corrections in the Standard Model, the Higgs sector of the Standard Model and its implications for phenomenology and for new physics beyond the Standard Model. In 1999 he shared the Nobel Prize for Physics with Gerardus ‘t Hooft, “for elucidating the quantum structure of electroweak interactions in physics”.